The Senegal parrot is part of a family of birds well known for their outstanding pet quality, quietness and remarkably calm temperament. Originating in Africa (hence the name “Senegal”), these birds are the most common of the Poicephalus, and are fairly easy to find in pet shops. They are prized for their good nature and the fact that their price is far lower than their Poicephalus cousins, making them a good choice for the person wanting a “larger” bird. 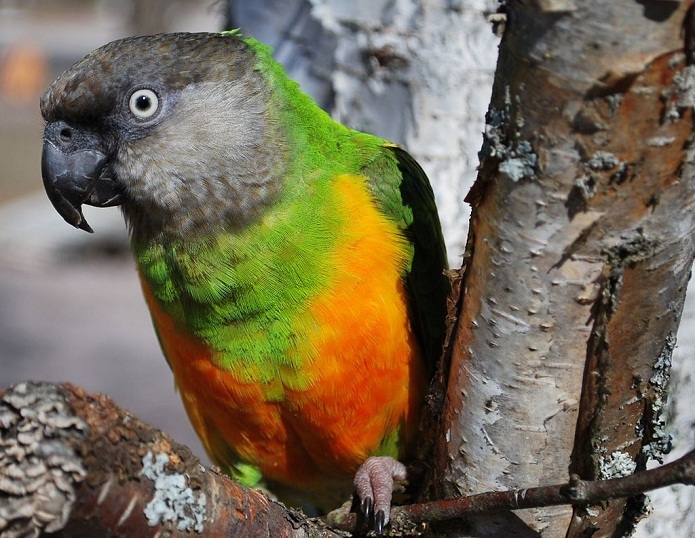 The Senegal Parrot, about 9 inches long, isn’t a “flashy” bird, like some other companion parrots of the same size. They are mostly dark green and brownish-gray with an iridescent green throat, orange thighs, with a yellow chest. The beak and feet are black, and the eye is a light yellow-orange, set off by the darker gray of the face. They don’t need all the “flash.” They are beautiful as they are, with a great personality to match. 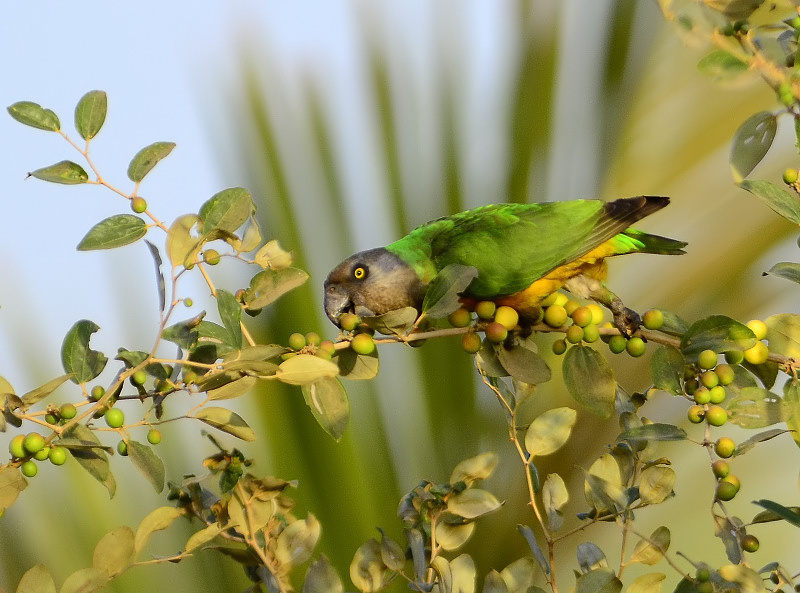 The Senegal parrot inhabits a large range in west Africa, migrating within its range depending on the availability of native fruits, seeds and blossoms. Toys are a must for a Senegal parrot. Senegals love to chew blocks of soft wood. Don’t be afraid to buy them macaw-sized toys-a Senegal will make fast work of it! They love rope toys as well, but be sure to watch out for long strands that can catch on a foot or around the neck-regular trimming of rope toys is a must. Acrylic toys with bells attached are also good, and will last longer than destructible materials. Senegals are not generally picky eaters, and will relish all kinds of good, nourishing food, including healthy table foods. Begin offering new foods early so that your bird will take to them right away. Senegals have a tendency to become a bit overweight. They are active birds by nature, and will avoid becoming fat if given enough exercise and a good diet. Senegal parrots can be very sweet, wanting nothing more than to sit on your shoulder all day. They tend to become very attached to “their” humans, and don’t really need another Senegal to keep them entertained. Senegals will appreciate as much attention as you can give. Because this bird will come to adore you. You are best to return that affection every day, or you will risk having a dejected bird. 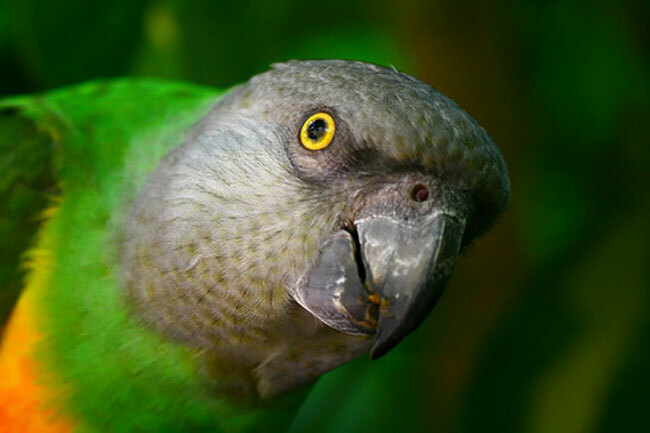 With a lifespan of over 30 years, the Senegal Parrot is a good pet for the intermediate bird owner. Senegals can become nippy if they don’t get their way, so they may not make the ideal child’s pet.